Design Patterns in life and Ruby – gain an intuitive understanding of OO design patterns by linking them with real-life examples. The Composite Pattern gives the ability to treat grouped objects and individual objects the same. The Composite Pattern allows you to compose objects into tree structures to represent part-whole hierarchies. Let’s look at the definition in light of group messaging. 1. The Composite Pattern allows you to compose objects into tree structures to represent part-whole hierarchies. There are six people on my contact list: Mom, Dad, Uncle Bob, Cousin Nick, Aunt Julia, and Amy Kinser. The Parents group is composed of Mom and Dad, whereas the Uncle Bob’s Family group is composed of Uncle Bob, Cousin Nick, and Aunt Julia. 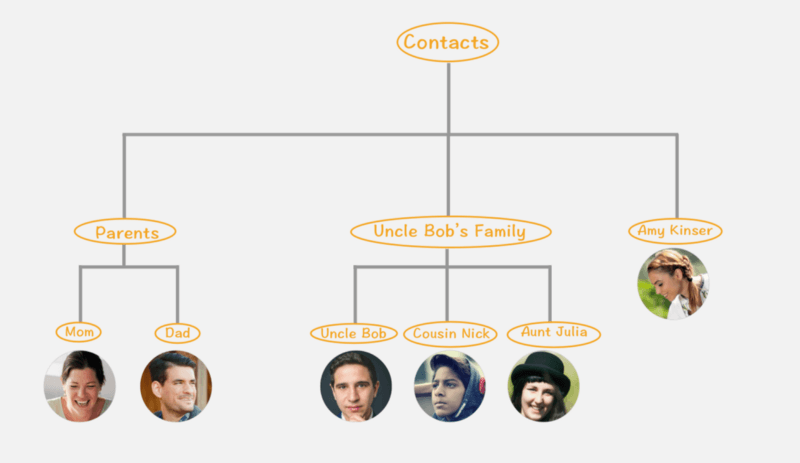 In this example, Contacts is represented in a tree structure made of nodes. A node is either a group of people or a single person. If a node is a group of people, like Parents, then it contains other nodes. If a node is a single person, like Mom, then it’s a leaf node. Thanks to the tree structure, Contacts can be arbitrarily complex. 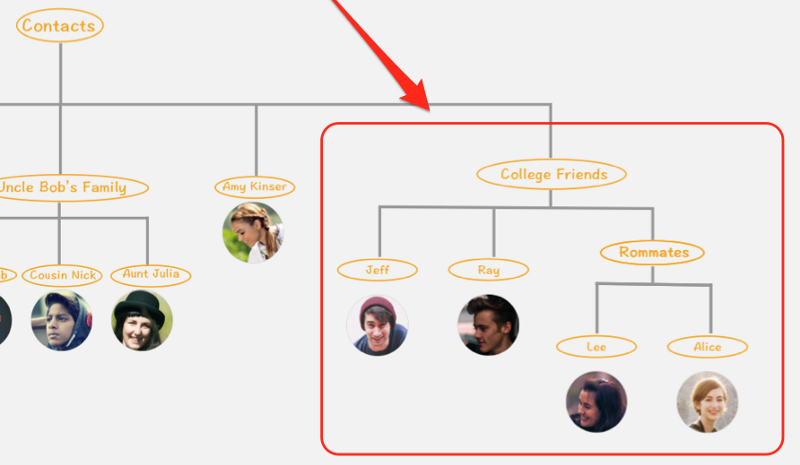 For example, I can add another node, CollegeFriends, containing four friends, two of which are grouped into the Roommates node. 2. Composite lets clients treat individual objects and compositions of objects uniformly. 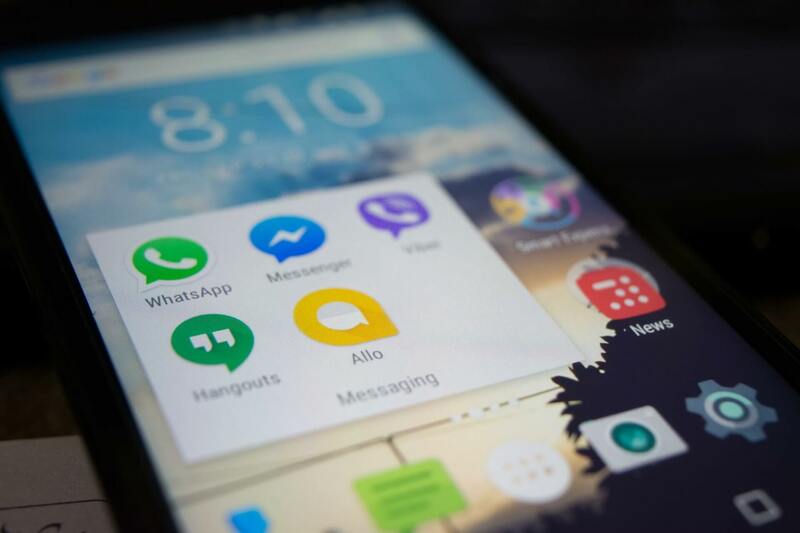 We want to message a group of people the same way we message a single person — parents.message(“I’m coming home this weekend :D”) and mom.message(‘I miss you, mom. ❤’). We can achieve this by having all nodes, both leaf-nodes and non-leaf-nodes, support the same interface: node.message(text). Woohoo, that’s the Composite pattern! ← To self-doubting developers: are you good enough? I’m finding more and more where composition comes in handy at work. While I don’t think you should make every class a composition, it should be written in a way it can be converted to it in the future if needed. An example could be adding multiplexing to an instrument data collection. Now a collection of data maybe represented as a tree where the single group of data contains nodes, each of which map to a certain item derived out from the multiplexing.